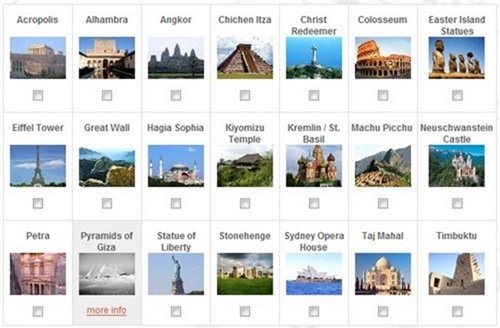 The voting for new seven wonders of the world is one of the most talked about subject in blogosphere currently. I had resisted urge to post about it till now, but with it becoming increasingly visible that Tajmahal is not going feature in this Elite list, I had no option but to voice my reservation. Okay, Can you tell me Why Taj does not feature in Top 7, it is the same why Sanjaya stayed for so long on American Idol. The public voting process is flawed. The outcome is in the hands of millions of people, most of them who do not have either knowledge or are too knowledgeable about the voting process to actually manipulate the whole thing to tilt the result in the way they want. The 7 Wonders voting actually goes a step further. The organization behind this voting process is actually urging people to buy votes, thereby filling in their pockets. So more rich you are the more votes you can buy for your favorite wonders. Isn’t that cheap for a place in History ? The New Seven Wonders of the World is a proposed revision of the Seven Wonders of the World, organized by a Swiss-based, for-profit corporation called New Open World Corporation (NOWC). The selection is being made by free and paid votes, through telephone or online. The first vote is free to registered members and additional votes may be purchased through a payment to NOWC. In addition to the sale of votes, NOWC relies on private donations, the sale of merchandise such as shirts and cups, and revenue from selling broadcasting rights. So, this Swiss based firm is a “FOR PROFIT CORPORATION”, and where profits are involved, how can one have a fair and impartial voting ? Even with all this background, I had not doubt that Taj Mahal would be in Top 5 if not top 3, purely based on the population we have. But I guess, I was wrong. If you think deeper, you will realize that although we have a huge population, more than 60% of the voting has happened through Internet, and Internet penetration in India is next to zilch as of now. Not only that, more than 97% of Indian population do not even know that something like this exists. The number of Internet users in western world are atleast 20 times more and most of them are totally unaware of what Taj Mahal is. There are few other factors too, but the reasons I mentioned above are enough for Taj Mahal to get voted out. There are only 31 days remaining as of writing this post. The results will be announced on 7-7-7. Go ahead and cast your votes. Indian Automotive Industry- The sector that is creating waves globally ! Your gross statistic on internet usage in India is wrong! LACK OF UNDERSTANDING ON YOUR PART. this whole organization is a massive scam — http://www.goseewrite.com/2011/11/new-7-wonders-world-scam-behind-sham/ — sad that so many have fallen for it. ajah puerto prinsesa underground river! I think Taj Mahal should be the first wonder of the world as it is a symbol of love..
new7wonders is indeed a vanity scam! be careful people! KOMODO ISLAND – THE NEW 7WONDERS…. nice but we know how the statue of liberty was made and we know how the eifell towr was made so there not really wonders. i think the word “wonder” means amazing though it has a lot of literal meaning, and if we say wonder, it should be of nature-made and not man-made. as these man-man can be duplicated in any means, improvable, and can be furnished when it needs to be. the underground river in the Philippines fits for the search of new 7wonders of the world. it is a gift from nature which boast its natural beauty. there are some wonders undiscovered yet, and yet, compared to other nominated entries, these undiscovered wonders is much to deserve on the list, and one of them is the underground river in puerto princesa, Philippines. lots of nature’s wonders can be found here. what u think u should confidence. Everywhere and everything about business only. Look our politicians, corporates all do the same thing. In my opinion, stories of the wonders of world shall always be quite incomplete without a mentioning about the KHEWRRA SALT MINES in Salt heights of Khewrra in Pakistan. These mines are as old as centuries before the Christ. As I saw written at the entrance gate of the mines during my recent visit there, During the fight between Alexander and Poras (Indian Hindu King) the horses of the Alexender force were suddenly seen putting their tongues on stone pieces lying around. Then his soldiers came to know about the presene of salt in the area. Belief it or not, this site is worth to see by world wide visitors. So, it is strongly suggesteed that the site may also be included in the list of wonders of the world. 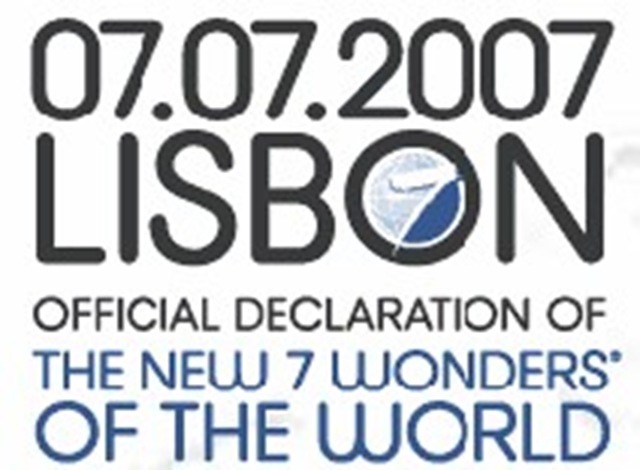 I think that the 7 wonders are constant so they should be 10 or even 20 if new ones are found. I mean why exactly seven? You cannot leave behind something like the great pyramid that was built 2500bc with a complete darkness in the outer world of Egypt or join the newly built Eiffel tower with modern buildings higher than it! How to Calcute which is good…. Does it men ‘am leaving in the past.Are these ratings subject to changes,aren’t they parmanent classifications. wonderful wonders of the world ! I think I m very late to comment. But I think Taj, Pyramids of Giza Egypt, Great Wall of China, Hagia Sophia Turkey, Golden Gate Bridge, Christ Redeemer Basil and Colosseum Italy are the "7 WONDERS OF WORLD"
Honestly you are all fighting over monuments and places created by man. I know we all love our regions and every special thing that has been created to show how much we love the places we live but seriously you have to know that not everyone is going to agree with you and not everything can go one persones way… We all have to agree that their arent only 7 real wonders cause the real wonders are the ones that everyone cherishes and you cant choses only 7 monuments that can be world wonders cause their are many that are wonders for different regions… Doesnt matter where you come from we all love our own special wonders! It’s great that there is a someone in the Internet who is brave to expose this tactic of harvesting people’s emails. You can’t vote in 7 Wonders without giving your email. oh when i went away for doing my first chrim. Piet Nirvana. After the Completion of voting rounds the same Organization is now selling pins and similar stuff. BTW even after 24 hours, the site does not give the total number of votes polled and the number each Wonder has received!!! So much for the Western efficiency!!! Thanks Maurya…I just put up a post here…check out..
Ok. Everybody .. It;s time .. three cheers for India!! well thing is that voting is also open by mobile phone…. Millions of votes thru sms will go to taj mahal too!!!! I googled for the n7w scam and got here..
We really need to do something about it … but i guess it’s a bit too late now ..
How can a for-profit organization declare the seven wonders of the world ? This voting is not even accredited by the UN . One may wonder OR not on election and declaration of the N7W…, but it is for sure that all the non-believers of this world will surely wonder when “JESUS APPEARS IN THE SKYS WITH A GREAT BIG TRUMPHET SOUND” and there will not be any chance to escape from his judgement. HE IS DEFINITELY GOING TO COME & PUT AN END TO EARTH AND SETTLE THE MATTER FOR ONCE AND ALL.BELIEVERS WILL FLY WITH HIM TO HEAVEN TO GLORIFY,PRAISE,WORSHIP,ENJOY HIS FELLOWSHIP FOR EVER & EVER. CONTRARILY THE NON-BELIEVERS WILL BE THROWN INTO THE BURNING LAKE OF FIRE FOR EVER AND EVER. IN “JESUS PRECIOUS & MIGHTY NAME”. AMEN & AMEN. What ever are going to be the new 7 wonders,but I personally feel that “CHRIST REDEEMER” is definitely the message to all nations of the earth.While JESUS is still delaying for his arrival & extending his arms and calling all people to repent for their sins and accept him as GOD THE SAVIOUR (who alone rose from the dead) and telling that I AM THE ONLY WAY TO ETERNITY. (so, it is very clear that there is no other GOD or PERSON or WAY to eternity-heaven). Let us understand that it is not about whether Taj will come or not…It is about millions of people just going with the flow and not understanding how this whole thing works. Is it legitimate – is it done with sense of fairness and keep mind the historic importance of these venues – OR IS IT JUST MONEY MAKING SCAM ??? I wholly think it is a money making scam – because this for-profit organization is making millions and selling votes. Are they going to use this money to restore the glory of these monuments. No THEY ARE NOT! They are going to just fill up their pockets !!!! I’m not really happy about this type of voting for a few reasons…. First, people who vote must atleast have some basic info about the various monuments before they cast the vote… this is definitely not possible…because i have also voted and apart from Taj and earlier wonders, i didn’t know much about the new entries… which is really unfair…. The whole thing is a scam run by a greedy sweedish corporation that has roped in several telecom operators internationally to make some money. 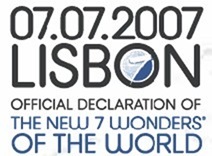 Who makes new7wonders the authority of adjucating on what the seven wonders of the world should be. I might have thought on voting had it been a UN sponsored vote, but this is a sheer SCAM. The voting methodology and the fact that anyone with enough money can just buy votes, makes the whole project a scam to earn millions, with the validity of the results with no cultural or scientific basis. This what i am also worrying about for long days. How such a polling can decide the World wonders? I hadnt yet voted for it.am really confused. I belong to Agra & I wonder if it should be included in list of 7 wonders. If I think deeply, I think it should be on top of list for many reasons. TAJ MAHAL was built as a symbol of love by Shahjahan for his beloved Mumtaz Mahal. I also heard that Shahjahan ordered to chop off hands of all labors who created such a beautiful master piece. Now after so many years, I see same thing, many are chopped off for their jobs, whole glass industry collapsed due to it. Peoples living here don’t have water, electricity and many other things which a city should have if it hosts some thing which can be counted globally. I think again and I see no good reason to vote for TAJ to be one of the seven wonders of the world. There will be same story, government will get grants from World Bank, Japan and other countries for TAJ MAHAL and there will be no benefit for peoples living there, they have to drink same contaminated water, same roads will be there as they are with holes and open gutters. So, I am planning not vote for it.